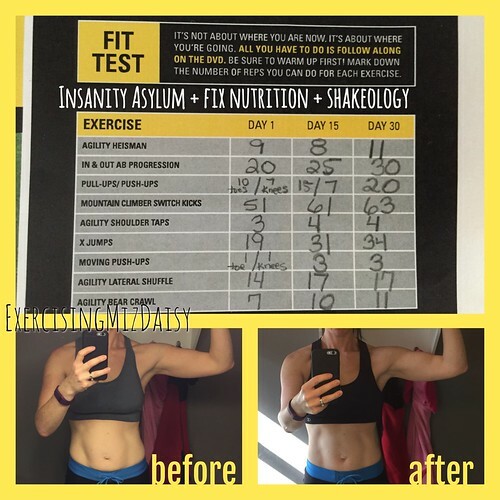 If you've been following me on social media, which I hope you are (Instagram or Facebook) then you know I recently finished doing a fitness program called Insanity Asylum with Shaun T. I first discovered this program though Beachbody On Demand's (BOD) challenge de jour. BOD is an online streaming site that allows you access to hundreds of workout videos. 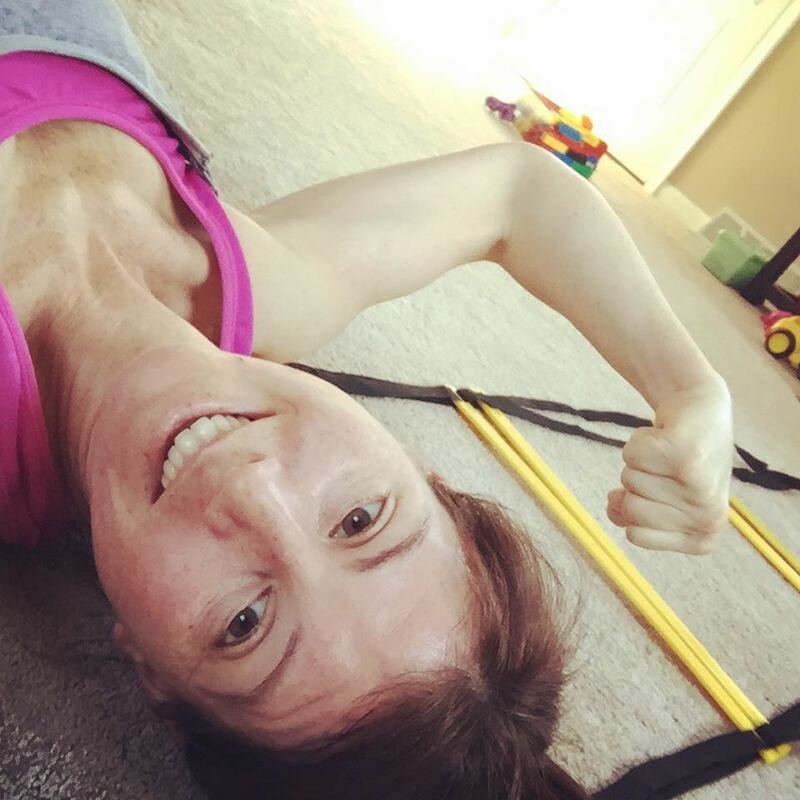 I pay only $12 month for the membership and I can do the workouts anywhere anytime; from our smart TV, a computer, my phone or tablet. Makes working out super convenient. A lot of beachbody's popular programs are available complimentary with the membership, like Insanity, P90X, and TurboFire. As well as exclusive workouts from popular trainers. The premium programs are added to your BOD once you've purchased them. 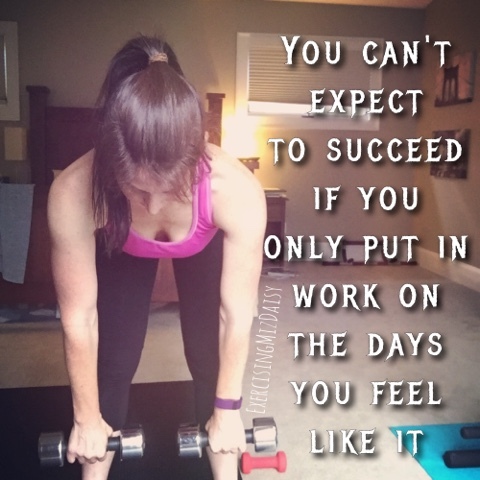 So it really makes taking workout on the go easy; I have access to 21 Day Fix Extreme, PiYo, and next up will be Hammer & Chisel. When I realized Insanity Asylum Volumes 1 and 2 were available on demand it made that program even more intriguing. What I initially liked about it was that it was different. It's sports focused so I was getting a workout in by doing moves I am familiar with from earlier life days of being involved in sports. And I was excited to take part in a Shaun T program because I had heard great things about how motivating he is. And he was! The workouts were a little longer, but I didn't let that hold me back. I had been used to the 30 minute fix workouts and while that fits in my better with my busy life, I was willing to take a step up and attempt 45-60 minute workouts, and I'm glad I did. Since there were two volumes I really wanted to try them both out and I wanted to do it in 30 days. 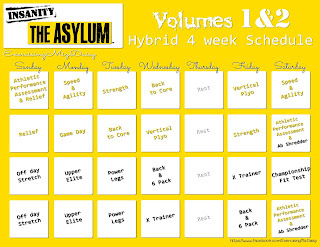 There was a provided hybrid schedule in the Volume two packet but it was a 60 day program. 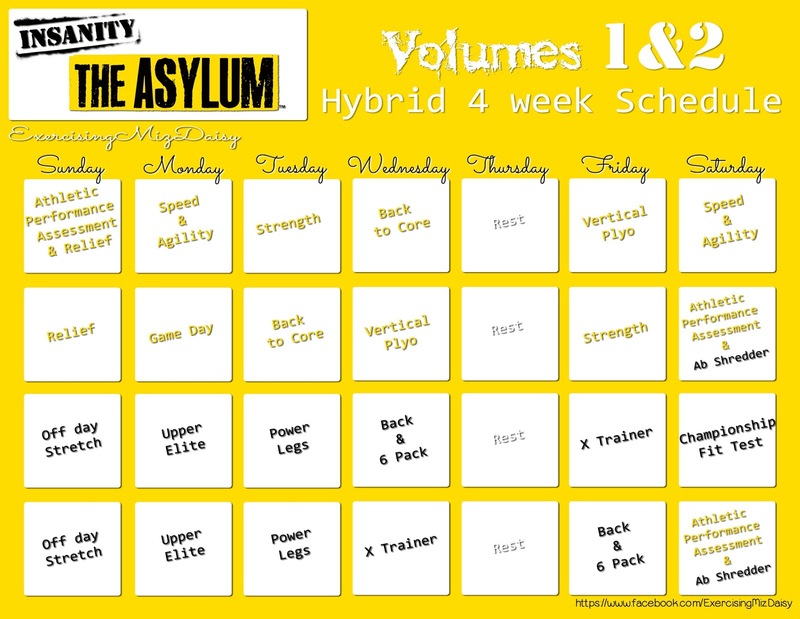 So after inspecting each workout I created my own hybrid of one and two packed into 30 days. Volume two was definitely more advance and pushed myself harder than volume one. But I really enjoyed volume one so I'm not sure I could point out a favorite. From all the workouts I think my favorites in volume one were back to core, strength, and relief . In volume two I really liked upper elite, power legs, and back & six pack. Each volume offered a rest day stretching workout. I preferred relief over volume two's off day stretch. My hubby even enjoyed doing them and they are great for improving flexibility. So even if you're not doing the program check them out someday on an off day or after a workout. I ordered an agility ladder ahead of time. They also use a jump rope and then strength bands in volume two. I didn't use the jump rope because I was doing it indoors, but I did pull it out for some stretching moves in volume two. I also didn't have the strength bands, but wish I did so highly recommend those. The ladder was fun to use and mixed it up a bit. As with many of Shaun T's workouts there was a lot of jumping. Here I am after Vertical Plyo and remembering how much of a relief it was to do pushups because my calves were working it hard. But hey, I came out smiling. I could tell my strength was increasing just after the first week and I really enjoyed the agility assessment test. 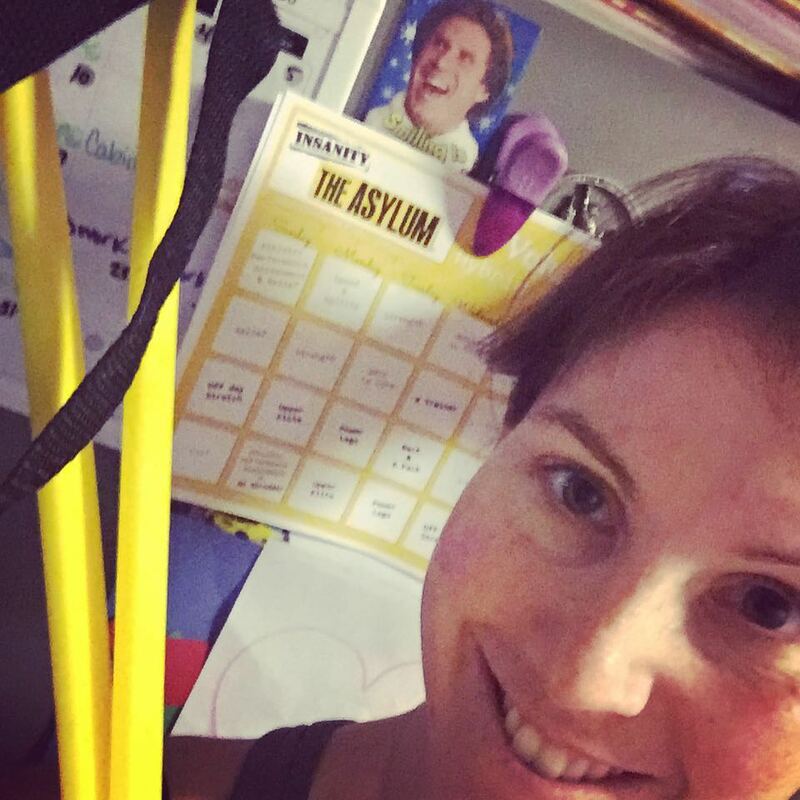 I stuck with the fit test from volume one because I felt like it provided a consistent measurement throughout by doing it three times: day one, day 15 and day 30. Volume two's fit test is thrown in at the end of the Championship workout and in my opinion didn't measure improvement as well. You can totally see my scores improve in my photo below. Going into it my goal was not to lose weight but instead to lose body fat percentage. My overall goal is to get to 22% body fat and I hoped this program would get me closer while also building muscle. So as far as my results. In addition to this program I drank Shakeology everyday and followed the fix container nutrition clean eating plan. I did not eat at a deficient, actually I tried to eat above my calorie category, which is difficult to do when you're eating clean. Take me to Olive Garden and I could eat a couple days worth in one sitting... not so much when you're eating clean fuel to build a healthy body. dropped 3% body fat bringing me only 1% away from goal. I would love to hear other's feedback; if you have completed this program or any questions you have! Let's connect! Awesome job!!!!! Are you a member of the BOD facebook page? If so you should post this with before/after.